This FAQ module is a easy to use addon for FAQ's. 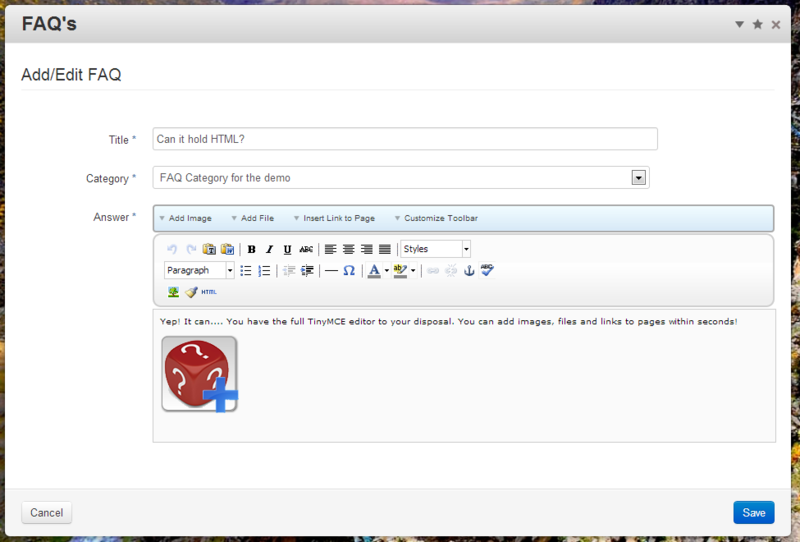 It allows the user to add different FAQ's under different categories. 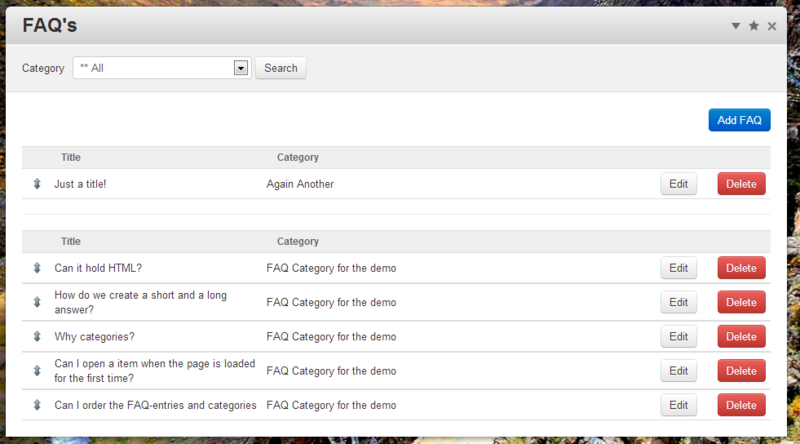 These categories can be selected to show on the page. 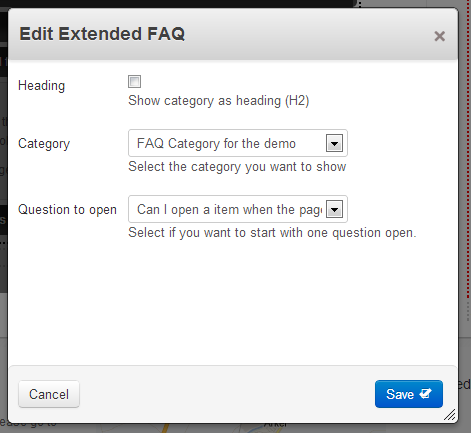 Both categories and faq entries can be editted en ordered in the dashboard. 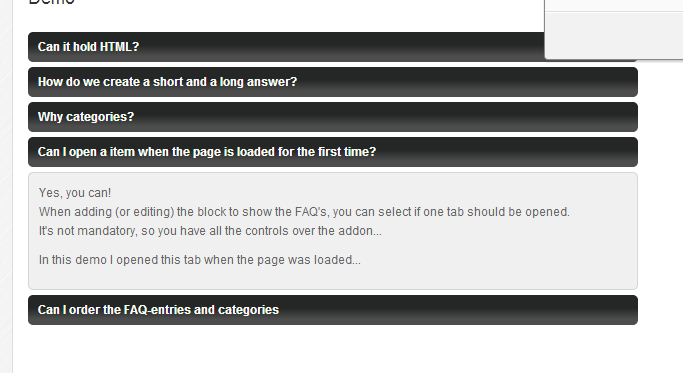 Then you can add an Extended FAQ block on your webpage and select which category of faq-entries you want to show. Easy and foolproof! This addon has 2 templates, an accordion version (default) and a single list version (template).